Asus F6V Keeps Your Office To Smell Great ! 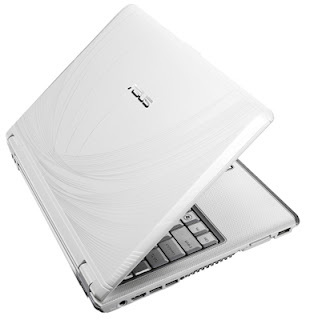 asus-announces-p565-pda-mobile-with-fastest-processor-in-the-world/">Asus is back, F6V is a new model netbook that lets your office great. With this netbook your office smells great all the time, therefore you have to thank to its infused scent mouse-computer-the-latest-netbook/">feature. You can have this netbook in two different flavors, Musky Black and Morning Dew. This device is available in monster-hunter-notebook-now-comes-in-collaboration/">white and black with the 13.3-inch screen. This device islenova-netbooks-thinkpad-goes-out-and-ideapad-comes-in/"> powered by an ATI Radeon HD4570 graphics processor, a 1280 x 800-resolution display, SRS pantech-sky-premium-unveils-five-new-concept-phones-in-korea/">Premium Sound, a built-in speaker, and a 1.3MP google-maps-brings-webcam-snapshots/">webcam.